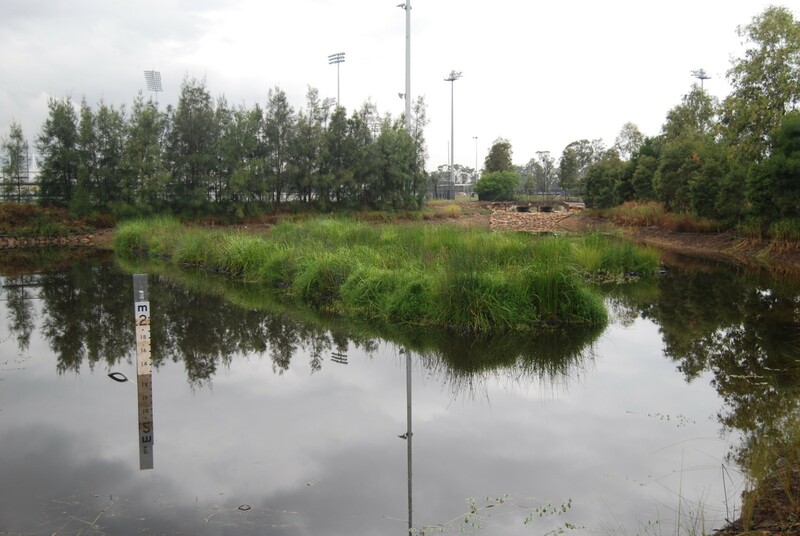 Angus Creek Storm water Harvesting at the Blacktown International Sports Complex. 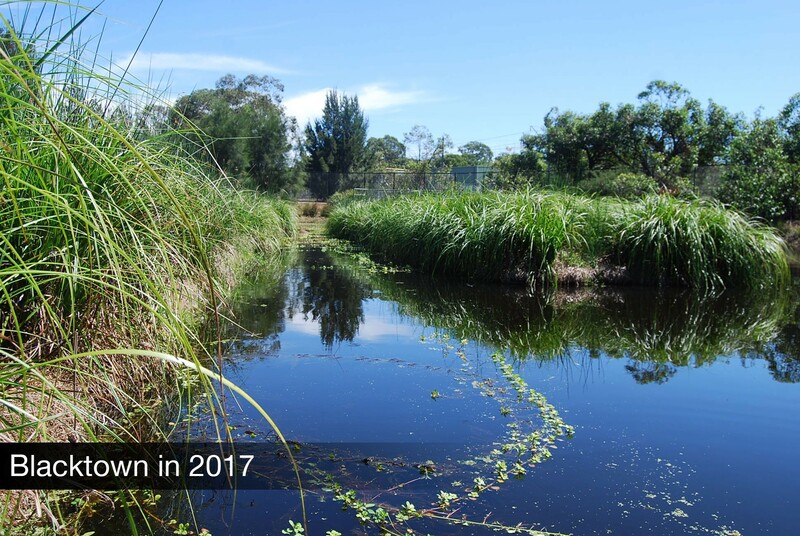 Purpose: Floating Treatment Wetlands (FTWs) to manage and improve the water quality and aesthetics of the storm water collected from Angus Creek. 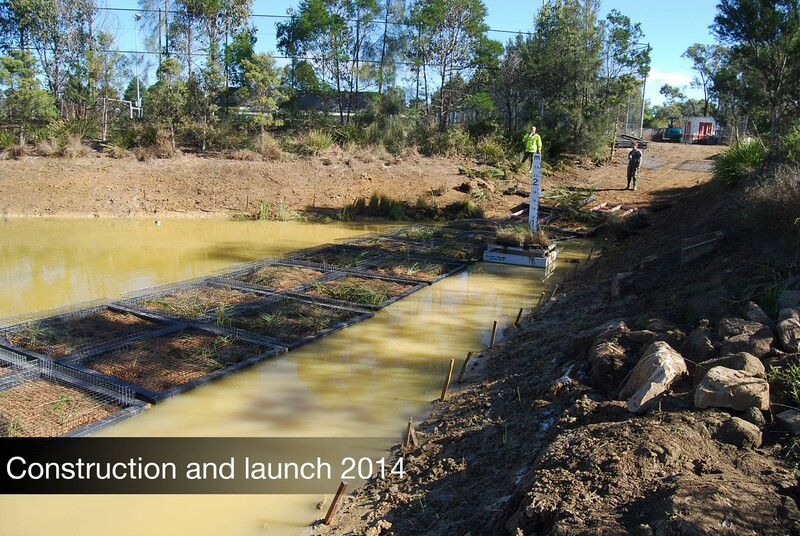 Scope of works: 475m2, including 132 x square raft modules shown in photo. Installed as 6 x 4m wide x 22m rectangle units. 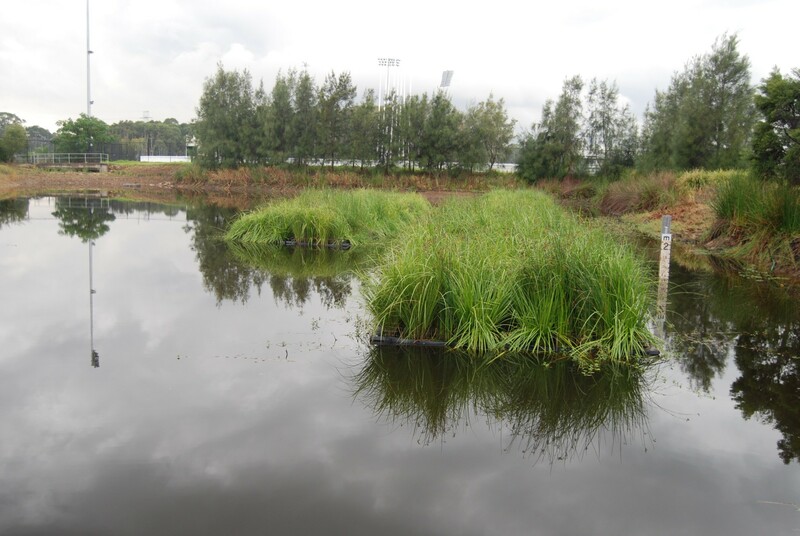 Issues: Logistics for construction, transport, storage. 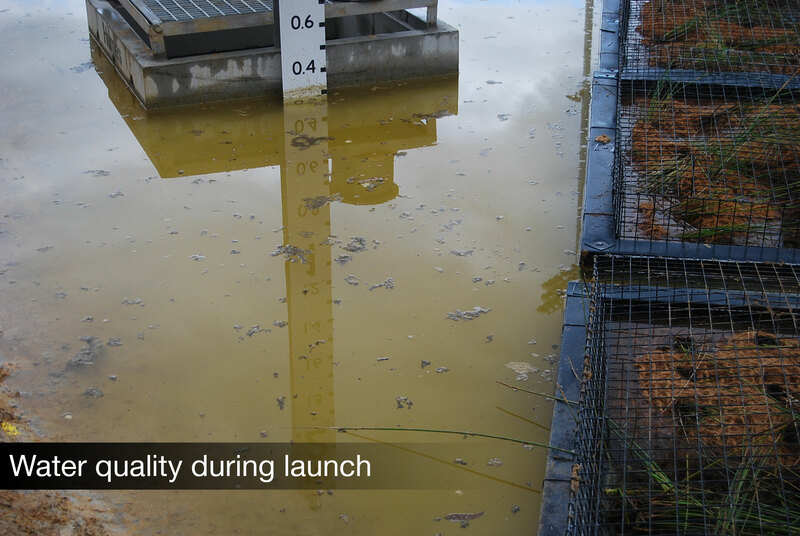 A novel approach for anchoring was used to account for a water level that can fluctuate between depths of 0.5m to 2m.